For many, motivation is a fickle thing. And the seemingly extreme-O motivated types will often tell you the same thing: motivation isn’t a constant to their work — most times you have to put in the work even (and especially) if you’re just absolutely not feeling it. It’s like having the motivation the work through not having motivation. Fortunately, for the less motivated — the I’m not quite motivated yet to work through my lack of motivation types — there are ways to trick your brain into thinking it’s amped to take on today’s workload. One fairly reliable technique: enhancing your dopamine levels. And that’s exactly what The High Performer by NooWave seems to do. But does it accomplish enough enhancement to get you through today’s lack of motivation? Are you even motivated enough to find out? If so, then read The High Performer review below. Who Takes The High Performer? Conclusion: Does The High Performer Work? 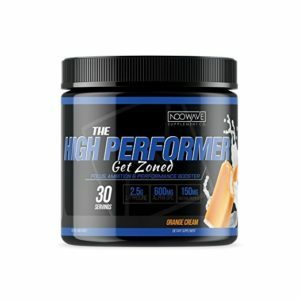 From NooWave comes The High Performer, a Focus, Ambition, and Performance Booster designed to help you (that’s right) “Get Zoned”!! Sporting a whopping 2,500 mg L-tyrosine, The High Performer has one of the highest L-tyrosine dosages on the market. L-tyrosine, L-dopa, caffeine — the brain boosters in this stack work primarily by enhancing dopaminergic activity for better mood and motivation. Other Ingredients: Maltodextrin, Natural & Artificial Flavors, Malic Acid, Sucralose, Citric Acid, Acesulfame, Potassium, Silicon Dioxide. Directions: As a dietary supplement mix one rounded scoop with 8-10 oz of water when added focus, ambition, and performance are desired. Do not exceed 2 scoops in a 24 hour period. Get Zoned! with Orange Cream-flavored caffeine scoops, baby! First impression of The High Performer: this is an impressive, jacked-up “energy drink” nootropic alternative that smartly uses a scoop serving format to crank up the dosage levels. In fact, the energy boosts in this stack almost rank this supplement more so as a pre-workout performance enhancer than a nootropic brain health stack. Even so, the brain boosts are undeniable, as I’ll explain in the ingredient reviews below. L-Tyrosine – 2.5 g of L-tyrosine is a massive dosage for an awesome anti-stress nootropic amino. One of the heavier L-tyrosine dosages on the 2018 nootropic market. For the catecholamine (see: dopamine) depleted student and worker, L-tyrosine supplements may help replenish lost motivation, mood, and focus, making it a prime “exam day” nootropic. More on L-Tyrosine. Alpha GPC 50% – Another solid dosage of another solid nootropic, 600 mg alpha-GPC supplies quite a bit of choline precursor for neurotransmitter acetylcholine synthesis. The result: better memory, learning, and cell-to-cell communication — not to mention neuron-to-muscle activation. More on Alpha-GPC. Glucuronolactone – This ingredient gives The High Performer away as an energy drink alternative. Despite a lack of clinical research on this ingredient, energy drinks use glucuronolactone quite a bit. Really, there’s not much more to say about it, which leads me to think that it’s not all that necessary here. Caffeine Anhydrous – Ever heard of this stuff? 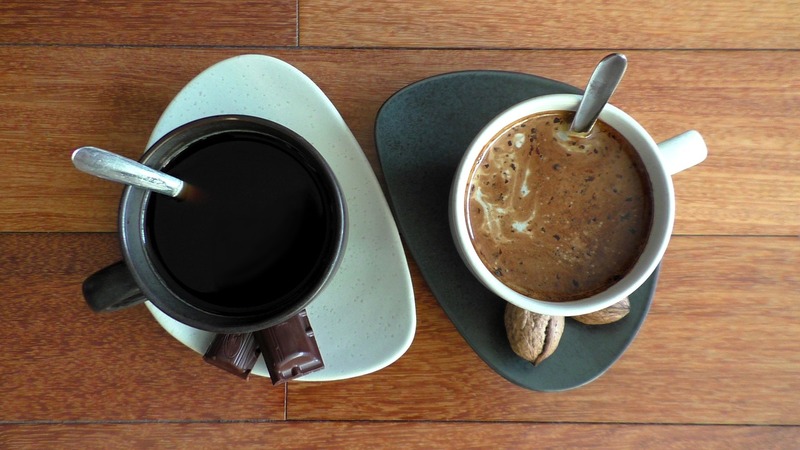 Apparently, caffeine is a stimulant compound commonly sourced from coffee beans that reliably boosts mental energy and focus, sometimes to an excessive, jittery degree. (Fortunately, The High Performer smartly stacks this stim with the anxiolytic L-theanine, as I’ll discuss shortly below.) More on Caffeine. 200 mg caffeine roughly equals a little more than two cups of coffee. Mucuna Pruriens (std. to 98% L-Dopa) – Mucuna pruriens, or velvet bean, contains high levels of L-Dopa, the precursor to feel-good brain chemical dopamine. It’s a cool, smart addition to this dopaminergic performance enhancing stack, one that significantly elevates The High Performer over your sugar-filled energy drink options. L-Theanine – If you want to sneak caffeine into your nootropic formula, you better accompany it with L-theanine. This anxiolytic amino acid helps reduce the jittery side effects of caffeine without limiting the stimulant’s boosts on focus and energy. It’s a powerful, complementary duo with significant cognitive enhancement potential. More on L-Theanine. Huperzine A 1% – Sourced from Chinese club moss, this semi-synthetic nootropic compound theoretically works well with alpha-GPC, given its inhibition of acetylcholinesterase, the enzyme responsible for breaking down acetylcholine. More on Huperzine A. Many nootropic brain booster supplements attempt the energy drink alternative design, yet fail by relying way too much on a single ingredient: caffeine. The High Performer supplies a significant amount of caffeine per scoop serving (200 mg to be exact) — however, the brain booster stack does much more than stimulate the brain with cheap-O caffeine. It provides juicy dopamine-enhancing L-tyrosine and L-dopa, as well as jitter-reducing L-theanine to keep your cognition in check. It’s a smart energy-enhancing design that I like, that may also possess long-term memory and learning benefits, thanks to the likes of alpha-GPC and huperzine-A. Dopamine – “feel-good” mood and motivation neurotransmitter. Acetylcholine – memory and learning neurotransmitter that also plays a key role in the neuromuscular junction. As a result, The High Performer seems like a nootropic supplement that points its brain boosts in the direction of physical performance enhancement. It’s a brain health stack focused on getting you “in the zone” as the supplement’s subheader — “Get Zoned” — indicates. On that note, The High Performer could perhaps improve its dopaminergic brain booster results by including other co-factors involved in the conversion pathways to dopamine — such as: B vitamins. Yet, with what it has (which is quite a bit), The High Performer accomplishes enough to get your brain juices flowing and your mood and motivation levels amped high enough to get you through an above-average day. The High Performer supplies one of the heaviest L-tyrosine dosages available, making it one of the best mood and motivation stacks available. By opting for the scoop serving format over the more traditional capsules and tablets, The High Performer can pack substantial ingredient dosages per serving. The only way to do caffeine the nootropic way is to accompany it with L-theanine. Props to NooWave for not hiding its formula beneath a proprietary blend. Glucuronolactone doesn’t make much sense in energy drinks, and it makes even less sense in what’s essentially an energy drink alternative. The downside to scoop servings: cleanliness and quality take a dive, especially for users who are sensitive to junky sweeteners. The $44.99 listed on NooWave’s website is crossed out, leaving the “discounted” price of $39.99 (at time of writing). Buying on Amazon also grants you the “discounted” $39.99 (which, for all intents and purposes, is the actual price of this stack) without the Amazon Prime shipping benefits — meaning that you’ll need to tack on an additional $3.23 for shipping. Either way, the discounted/actual price of The High Performer is better than the supposed $44.99 listed on NooWave’s site. Judging by the tatted, blue-nailed hand model in The High Performer’s ad, I’d say this is somewhat of an extreme-O nootropic stack, designed more so for athletic cognitive enhancement than that nerdy, cerebral tech stuff. (Ugh, someone give me a wedgie right now just for referencing tech.) The dopaminergic design of The High Performer makes this a prime nootropic stack for ambition-seeking exercisers, gamers, and students. You can buy The High Performer through the NooWave Supplement Co. website or through Amazon — without the Amazon Prime benefits, unfortunately. As far as I know, those are the only two locations to find this cognitive enhancement stack. As a focus, ambition, and performance enhancer, The High Performer delivers on its promises, doubling down on perhaps the best nootropic for the task: L-tyrosine. For what easily could have been a cheap-O caffeine stack, The High Performer goes above and beyond with not only how it treats it caffeine content (smartly, with L-theanine) but with the additional nootropics selected for this stack. Is it the best nootropic stack for motivation and performance? Probably not. There is something admittedly blunt about The High Performer’s brain boosts — as compared to, say, Brain Lift (formerly known as Study Juice), which takes a similar dopaminergic approach to mood and motivation, except with additional adaptogenic support. Even so, The High Performer does what it does very well, and for that I give it a fat, geeky recommendation.